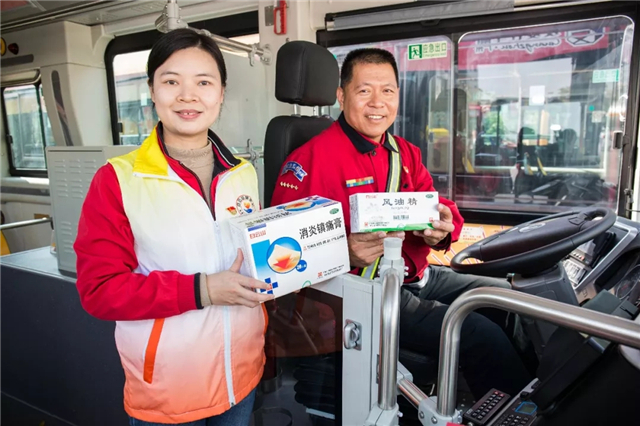 On January 30th, GPHL’s Baiyunshan He Ji Gong Pharmaceutical Factory launched a voluntary activity to donate over 100 first aid kits to buses operated by Guangzhou Public Transport. 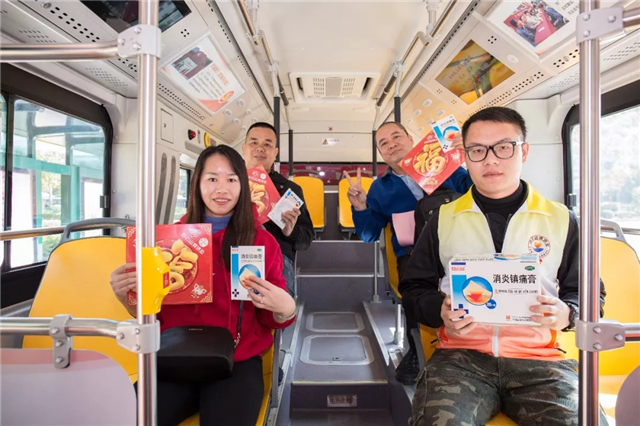 On that day, volunteers of He Ji Gong also sent free drugs for external use and Spring Festival scrolls to the passengers. 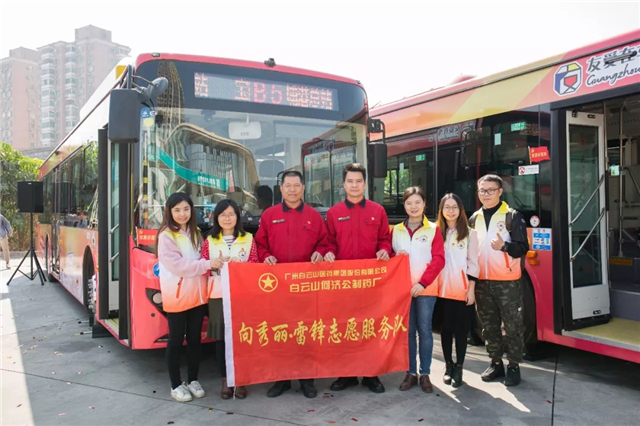 This is not the first time He Ji Gong carried out this kind of activity. 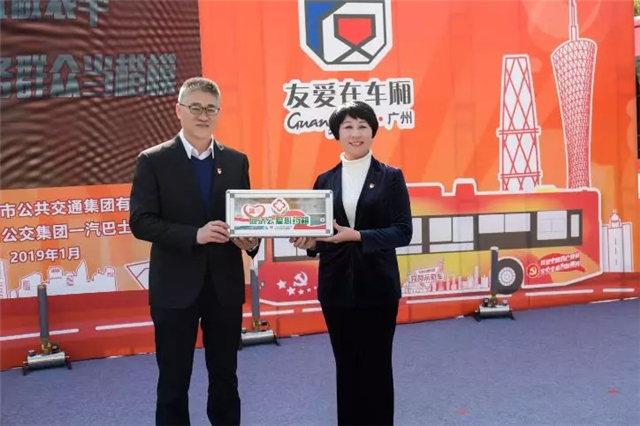 Last May, He Ji Gong donated over 100 first aid kits to the buses operated by the Guangzhou No.1 Bus Co., Ltd.
Yang Ruiyun (R), secretary of the Party committee of He Ji Gong presents a first-aid kit to Yang Jun, deputy secretary of the Party committee of Guangzhou Public Transport. 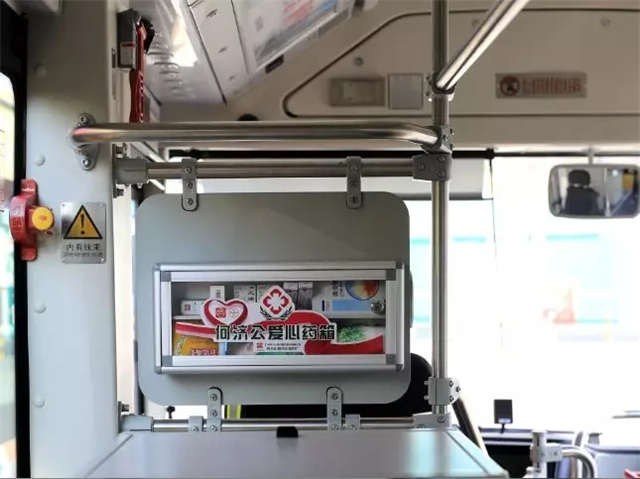 A He Ji Gong first-aid kit is placed in a bus. Guests and volunteers pose for a group photo. 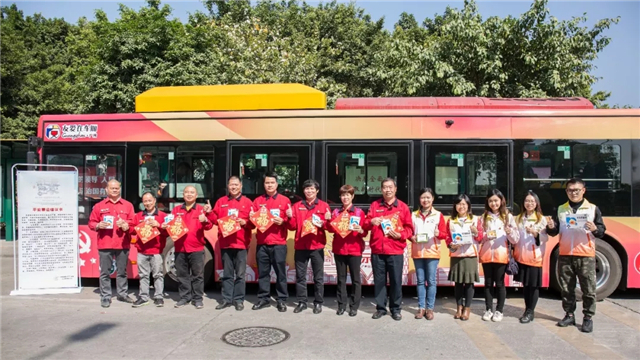 Volunteers send drugs to the passengers. 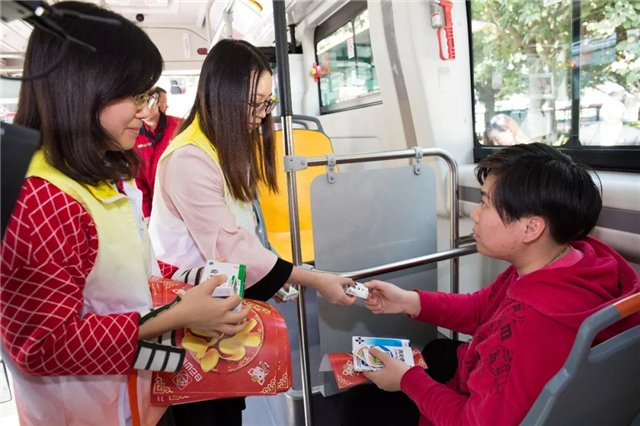 Passengers pose for a photo with the medicine in their hands. 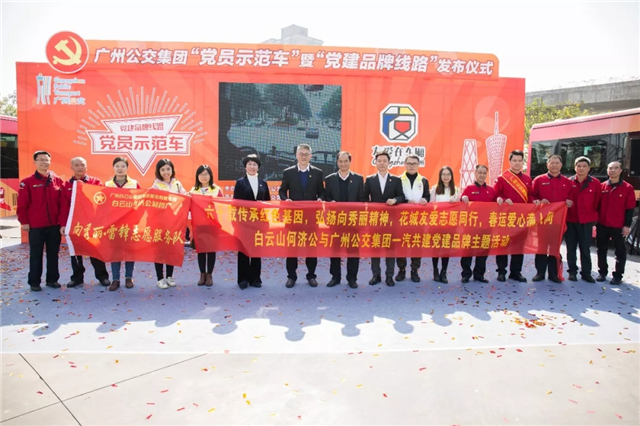 He Ji Gong volunteer team poses for a photo.